Tired of being bullied, a scrawny, impoverished Dawood Ibrahim is looking for a saviour, Khalid Khan Bachcha, who would teach him the ropes of handling a bunch of hooligans. 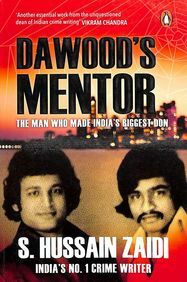 Instead, what he gets is a mentor who eventually transforms him into a cunning mafia boss.In Dawoods Mentor, Dawood meets Khalid and they eventually forge an unlikely friendship. Together they defeat, crush and neutralize every mafia gang in Mumbai. Khalid lays the foundation for the D-Gang as Dawood goes on to establish a crime syndicate like no other and becomes Indias most wanted criminal..